Have you ever made a sizeable cash deposit or wire transfer to a bank account and been asked by the teller why you’re depositing the funds? For most of us, the term ‘money laundering’ brings to mind the type of organised crime depicted in The Sopranos and Underbelly. We think of millions of dollars being shifted about through gambling operations, and our suspects are crime families and drug lords. But the modern reality is very different. Unwary individuals can be drawn into seemingly insignificant roles in complex money laundering webs, and the simple act of sending funds to a relative in need overseas has the potential to attract the attention of authorities. The threat of terrorism and an increasing level of surveillance by authorities in Australia and around the world results in numerous transactions being flagged every day. In this article, we’ll look at how money laundering is defined, how authorities respond to it here and abroad, and what behaviours have the potential to raise suspicion. The point of money laundering is to ‘clean’ money that has been obtained illegally and transform it into legitimate funds. This means that the money can be used, without alerting authorities to any suspicious activities surrounding its provenance. Although money laundering is generally the province of organised criminals, there is a chance that an ordinary Joe Bloggs could come to the attention of the police with an innocent but poorly thought-out transaction. 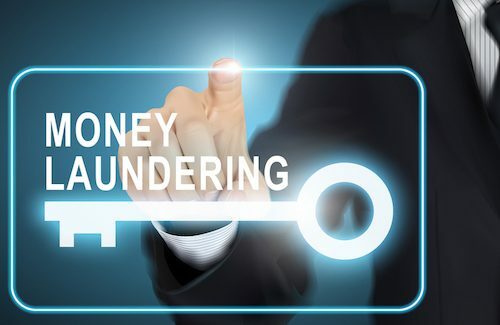 According to the Australian Crime Commission (ACC), money laundering methods change regularly, and are only constrained by the inventiveness of those behind it. Taking sizable amounts of cash, breaking them down and depositing smaller amounts into various bank accounts. Making sizable legitimate purchases such as investment property so that the source of funds isn’t apparent. Physically smuggling cash out of or into Australia. Transferring money between different locations so that the origin of the funds becomes difficult to trace. In recent years, this has broadened to include internet transactions and platforms such as online gambling sites. Apart from reducing the level of organised crime enabled by money laundering, there’s a current global focus on preventing terrorism, in particular by inhibiting funding sources. Money laundering affects Australia on other levels too, by allowing criminals to avoid paying taxes, profit from ill-gotten gains, and obviously fund further crime. It can also affect legitimate businesses. For example, money laundering fronts can undercut genuine prices, as the point of the laundering business is not to turn a profit or stay afloat. The financial impact of money laundering on Australia is significant. According to a 2011 report released by the Australian Transaction Reports and Analysis Centre (AUSTRAC), around $10 to $15 billion is laundered in Australia every year. Then there’s the missed taxation revenue, and other costs. How does Australia crack down on money laundering? Various Australian agencies have the power to concentrate on money laundering activities, both here and overseas. They are empowered by the Anti-Money Laundering and Counter-Terrorism Financing Act 2006 (Cth), which requires certain entities to report suspicious activities, maintain records and verify customer identities, amongst other obligations. The ACC, the Australian Federal Police (AFP) and AUSTRAC have previously engaged in joint taskforces to combat money laundering. This includes the Eligo National Task Force, which utilised the resources of the Australian Customs and Border Protection Service and local police agencies, as well as cooperating with the United States Drug Enforcement Agency (DEA). How do these organisations operate in practice? AUSTRAC acts as the regulator for anti-money laundering and counter-terrorism funding programs. It monitors compliance with legislative frameworks and also acts as a financial intelligence unit by reviewing and analysing information received from banks, gambling entities and other financial institutions to determine if there are patterns of unusual transactions or strange behaviours. AUSTRAC is a member of the Egmont Group, which is comprised of various international financial intelligence units, and is a co-chair of the Asia Pacific Group on Money Laundering, which is a significant regional force which focuses on the prevention of these activities. The ACIC has specialist powers to investigate criminal activities by collecting and maintaining data, advising enforcement agencies on strategic crime prevention priorities, and undertaking covert intelligence operations. Fairly obviously, the AFP acts on information and intelligence received from AUSTRAC and the ACIC to carry out arrests and prepare legal cases against suspects accused of money laundering and other organised crime. What behaviours could put you on the radar? Although the government’s key focus is on preventing organised crime and chasing down seasoned criminals, this doesn’t mean that innocent or careless transactions won’t bring you unwanted attention. The use of multiple identities to conduct financial transactions without an obvious reason (such as a change from maiden to married names). Arranging for third parties to deal with funds, in particular depositing or withdrawing large amounts of cash. Simply making large deposits or withdrawals. Anything over $10,000 must be reported to AUSTRAC. Making several smaller payments which add up to more than $10,000. Authorities figured out a long time ago that 5 x $2,000 equals $10,000 or that $9,999 is almost $10,000, and attempts to circumvent the rules in this fashion will not help you to avoid suspicion! International funds transfers. All of these must be reported to AUSTRAC, and obviously large amounts or multiple transfers from different people to the same recipient will draw additional attention. Carrying more than $10,000 cash into or out of Australia. You must self-declare this at customs – and if you do not, you have automatically broken the law. A significant change in your banking patterns or transaction history. If there is no explanation, it may be considered suspicious. Requesting unusual amounts of anonymity or discretion, or being unusually interested in a financial institution’s internal operations. Withdrawing from or depositing funds to various ATMs in different locations within a short timeframe. These are only some of the potentially suspicious behaviours that could capture the attention of Australian law enforcement agencies investigating money laundering activities. Bear these in mind when undertaking your financial transactions – it is much easier to avoid attracting suspicion than to deflect it once it has already fallen on you.